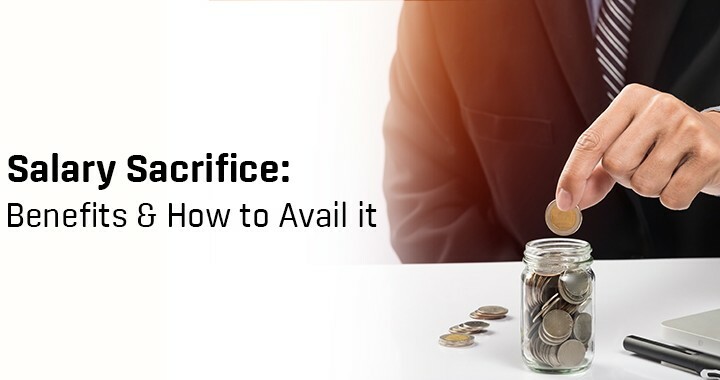 Salary sacrifice is a mutual arrangement between an employee and the employer where one pays for items or services from the pre-tax salary itself. One can salary-sacrifice cars, childcare and computers along with a host of other things. This act reduces taxable income and aids in getting you the benefit of extra cash. Your employer is required to pay fringe benefits tax (FBT) on benefits provided to you. Some benefits will be listed on annual payment summary and will be used to assess the overall Medicare levy surcharge, annual tax offsets, annual child support payments and other benefits offered by the government. By paying for things before you need in advance, sacrificing salary for it, one gets greater purchasing power with the same income. One is left with more in take-home pay than when you choose to pay for items with post-tax salary. For those employed by an NGO or Public Health, one can even prepay for meal entertainment, mortgage, rent and everyday expenses. How Salary Sacrifice Helps You Get More Cash on Hand? For example, Paula is paid $50,000 out of which she takes $40,000 home after taxes. She spends $10k on a car lease, which is from money that is being taxed already. With salary sacrifice, most of the $10k can be removed from taxable income and labelled as benefits offered from her employment. That means while paying taxes, she has to pay taxes on $40,000 income instead of $50,000 thus saving approximately $2000 per year through salary sacrifice. How to opt for salary sacrifice? Check with payroll department if they allow you to avail salary sacrifice and ensure super guarantee (SG) entitlements are not affected. Once you avail salary sacrificing, a formal agreement with employers is on the cards. One should know when your employer will shell out contributions so that it does not exceed concessional contribution cap. Who are eligible for salary sacrifice? Most employees in Australia are eligible to avail salary sacrifice to get more benefit from current income but few understand it. If you’re an employee and not using salary packaging, then you are not actually maximizing your potential income. Any employee can salary-sacrifice and even take help from a specialist provider. This strategy is effective for people who boast of mid-to-high incomes and generally everyone who pay taxes. The benefits fall into three categories- fringe benefits, exempt benefits and Super. Fringe benefits are the one in which your employer is required to pay fringe benefits tax (FBT) to the government for providing the benefits to you. It’s possible to pay for expenses including home loan or private health insurance, rent, or even car parking via salary sacrifice, depending on the employer’s approval. The expenses are liable for FBT so one should work out if this arrangement will benefit you. Childcare fees can be covered by salary package too. The childcare facility should be a registered provider. The fees might affect entitlement to government benefits since it would reduce the value of your salary. The value of benefits received every financial year will reflect on payment summary at tax time. Non-reportable fringe benefits are offered for entertainment and parking expenses. Exempt fringe benefits are not included in payment summary. These are the benefits which are free from Fringe Benefits Tax. Portable electronic devices like laptop or mobile phone obtain FBT exemption if they are used for work. Only one electronic device can be under this exemption although small businesses with the turnover of less than $2 million can provide employees with more than one electronic device on an annual basis. Purchase of work tools can be done through salary sacrifice. One can include essentials of the workplace such as a briefcase, maximizing the benefit of salary sacrifice too. Superannuation is an effective salary sacrifice method that puts cash into the super fund to drive your retirement savings. Super salary sacrifice is not subject to FBT, which means you are liable for 15% contributions tax only. If the tax rate is higher, the difference results in your savings. Your employer is not required to pay fringe benefits tax on super. One can save loads of money in taxes through salary sacrifice and proper planning. Consult an experienced tax filing company like Universal Taxation to aid you in filing taxes. Posted in tax tips and tagged benefits, employee, sacrifice, salary.